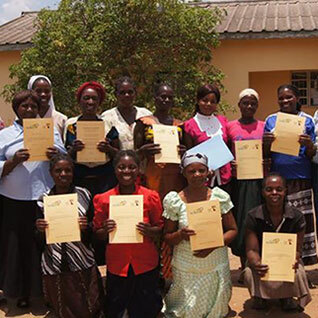 Brighter Futures Zambia is run entirely by volunteers in the UK and Zambia. 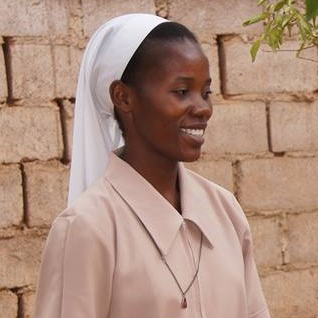 Sister Joyce is based at the Mission Hospital in Monze and acts as the Project Coordinator for Buntolo Orphan and Vulnerable Children’s Project. She is passionate about using her project monitoring and administration experience to help lift orphan children out of poverty. Hillary is our Programmes Coordinator. Hillary is trained in Community Development and improving the lives of the most vulnerable is her passion. Hillary comes from Southern Province and has a vision for Zambia where all young people, no matter their background, can achieve a good life and realise their potential. 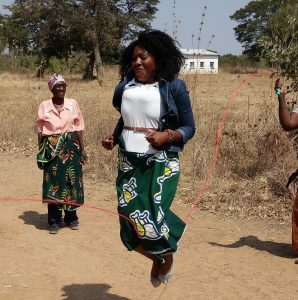 Hillary works to help us make sure that our programmes deliver the maximum impact and she ensures great communication between the UK and Zambia. 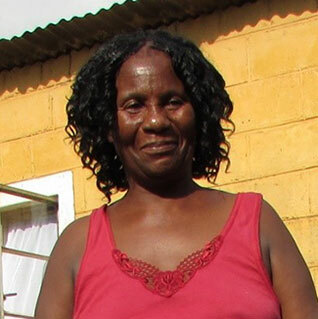 Clara is a Group Leader for the Buntolo OVC group. Clara provides support to a network of other orphan carers and assists Sister Joyce in administering and monitoring our work in Zambia. Two of Clara’s children have been sponsored through school by Brighter Futures Zambia, and Clara is passionate about ensuring that other orphaned and vulnerable children complete their education. Our 12 groups leaders run the 6 community groups we work with. All are volunteers and orphan carers and work with a network of orphan carers and children in their local community, running activities and providing support and advice. Alice is our Bake a Brighter Future Fundraising Champion. And when she’s not organising bake sales and coffee mornings, bringing up her two small children or teaching French, Alice somehow finds the time to run sponsored races for Brighter Futures Zambia! As our Gift Aid Officer, Jill ensures your donations make even more of a difference to Zambian orphans and vulnerable children by organising Gift Aid on eligible donations. Morley has dedicated his career to education, with over forty years experience of teaching maths to secondary school pupils. He is one of our longest standing sponsors and helps us to keep our finances in order as our Finance Officer. Katie founded Brighter Futures Zambia after a year spent volunteering with the Buntolo OVC group in 2007/8 and is now Chair of Trustees. Katie is a qualified teacher and currently devotes her time to running Brighter Futures Zambia and bringing up her two small children. Jennie is co-founder and trustee of Brighter Futures Zambia. For more than ten years, Jennie has worked in the UK charity sector, managing volunteering and community development projects. Jennie has visited our projects several times and spent her sabbatical volunteering with Brighter Futures Zambia in Monze in 2013. Anthony has been a trustee of Brighter Futures Zambia since we began. He is CEO of creative agency Lowe Open and leads on all of our marketing and promotional activity. His three small children keep him busy when he is not working for Lowe Open or Brighter Futures Zambia. Caitriona became involved with Brighter Futures Zambia after listening to Katie’s passionate descriptions of her work for the charity. She became a trustee and the charity’s Secretary in 2015. She is Head of Compliance at a television broadcaster. Kevin has been a BFZ trustee since the end of 2016 and is also our Treasurer. Kevin is a French national who has previously worked in Africa and he is now a UK Finance Manager for a pharma group. Katy has been a trustee of BFZ since 2014. Katy is a chartered accountant and is currently the Director of UK charity Education and Employers. Katy previously worked for a number of years in international development supporting community projects across Africa and Asia and spent time volunteering in Uganda and India. Katy has a post graduate diploma in Development Management and she had the pleasure of visiting our projects in Zambia in 2015.